Notleys specialises in bakery businesses serving the artisanal, wholesale and industrial markets. Established in 1983 by bakers, for bakers, Notleys’ firsthand experience at every level of the industry is unmatched. The company needed a new website that showcased its extensive bakery equipment offerings, end-to-end integrated solutions and the expertise to design professional bakery facilities from the ground up. 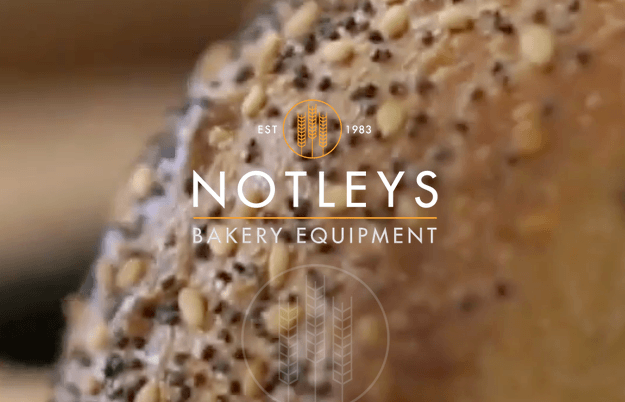 The Notleys logo needed refreshing, to signal a new phase in the company’s development.While maintaining focus on the well-respected name, Notleys, the new logo featured the year of establishment and the company’s focus as a supplier of bakery equipment. 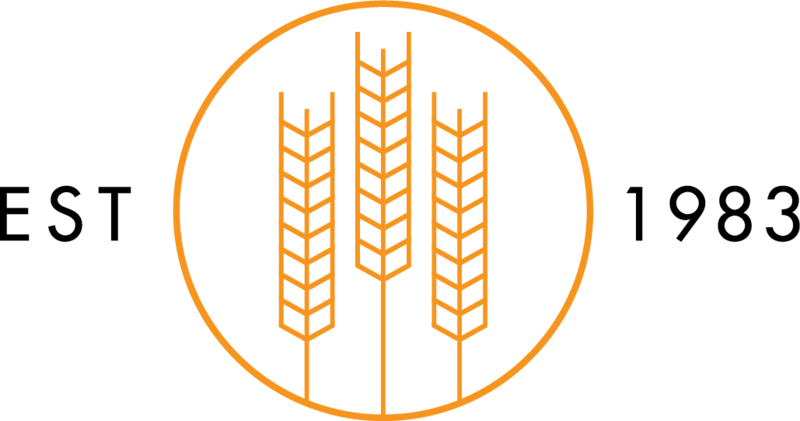 Importantly, the striking image of three wheat heads represented Notleys’ three main customer segments. The black and orange colours reflected those of Notleys’ two major suppliers, Bongard and WP Haton. A site so fresh you can almost smell it! These themes ran through the website which covers Notleys’ extensive product range and service offerings, aimed chiefly at artisan bakeries, wholesale bakery businesses and industrial bakers. Specific testimonies depict the different needs in these sectors and establish the Notleys advantage. The site was designed to stimulate the senses of visitors, with motion, imagery and colours evocative of warm bread you can almost smell. With a major baking industry annual conference just two months away from launch, the newly-launched site quickly defined Notleys as the source of solutions, service, replacement parts, innovation and expertise. With products arranged according to process and business type, clients can easily navigate and see the breadth of options available. Reinforcing Notleys’ strong commitment to their clients’ success, the website provides depth and inspiration for future business growth. Oddball definitely does things differently. They worked hard to really understand our business before they came back with design and structure concepts. They even visited me on-site to see us in action. The team recommended including plenty of relevant detail in the pages, as we educated the market about solar power installation and also to enhance SEO. I’m now getting calls for niche jobs that I would never have received without that advice. Oddball is a fantastic company all round! Mike and the team have taken a really stressful side of my business away. They’ve increased my profile and have helped me get more enquiries and more jobs! Thanks lads!